DuPage County, Illinois, attorney John P. Casey was born and raised in Naperville, Illinois. He graduated from Chicago Kent Law School with Distinction, then spent nearly a decade defending persons charged with crimes in the Public Defender’s office in Kane and DuPage Counties. Due to his exceptional trial skill he quickly rose in the ranks, handling his own trials and supervising other attorneys. Mr. Casey then gained invaluable experience by moving to civil defense work at Norton, Mancini — a firm specializing in the defense of insured doctors and hospitals in Medical Malpractice claims, as well as Municipal and Legal Malpractice Defense matters. There, Mr. Casey learned from some of the best in the field. Before the Death Penalty was abolished in Illinois, Mr. Casey was a member of the Capital Litigation Bar. Illinois required special certification for attorneys handling complex capital homicide cases. Mr. Casey has received extensive training in the areas of DNA, gunshot residue, eyewitness identifications, fingerprint analysis, forensic psychiatry/psychology, computer META data analysis, blood splatter, and forensic pathology, just to name a few. 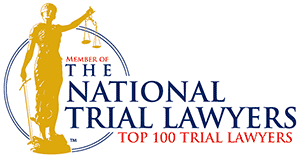 He has implemented this training in the practical setting of the courtroom — directing and cross examining many expert witnesses on a wide array of subjects. He has gone on to share his experience by providing exceptional service to his many clients — and amassing an impressive record of providing effective representation in over 100 jury trials — and by giving back to the community by teaching the art of the trial to younger attorneys and students. There is nothing I love more than arguing to a jury. I have spent the last ten years doing just that … trying as many cases as I could, and both my clients and I have been lucky enough to have enjoyed significant positive results. Attorney Casey is often asked to lecture on subjects such as Jury Selection and Trial Skills. Additionally, he has spent the last three years coaching the Glenbard South High School Mock Trial Team, which took second place in the State in 2006.